A few of you were interested in a tutorial, so I put one together for you. 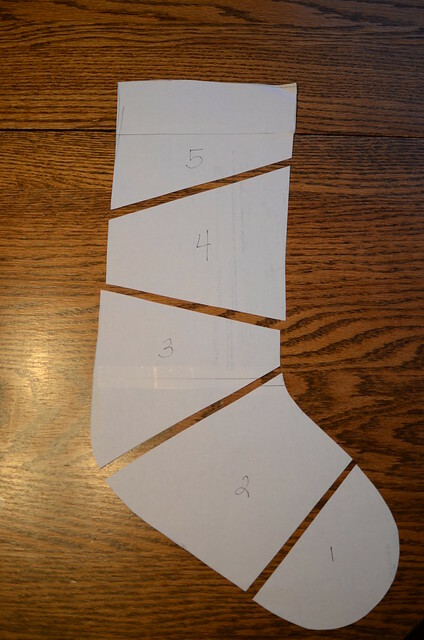 Create a pattern using an existing stocking or print out the pattern pieces above. Cut out 1 piece from the large sweater piece. 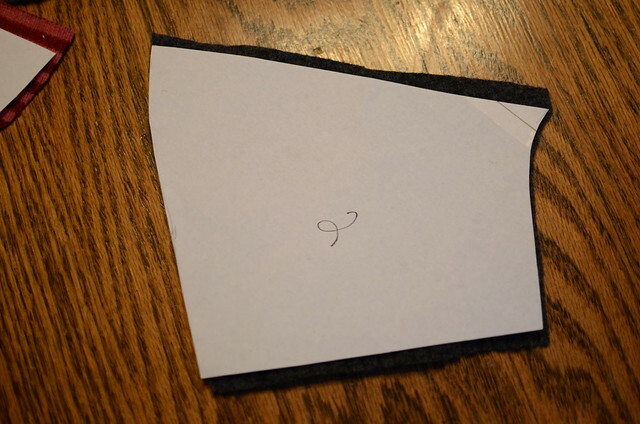 Cut 2 pieces from the lining fabric. I used a lightweight cotton from my stash. 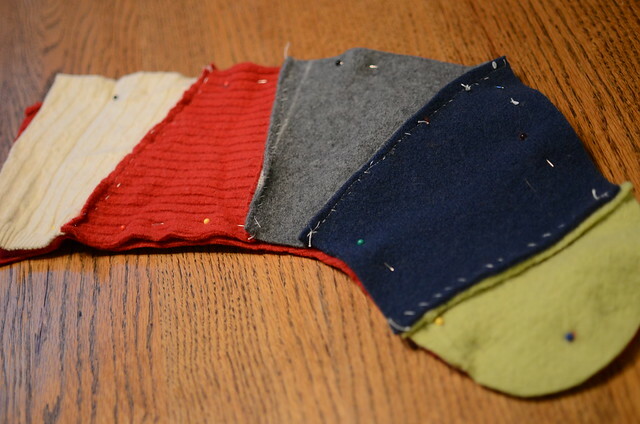 Take your pattern and cut it into sections. 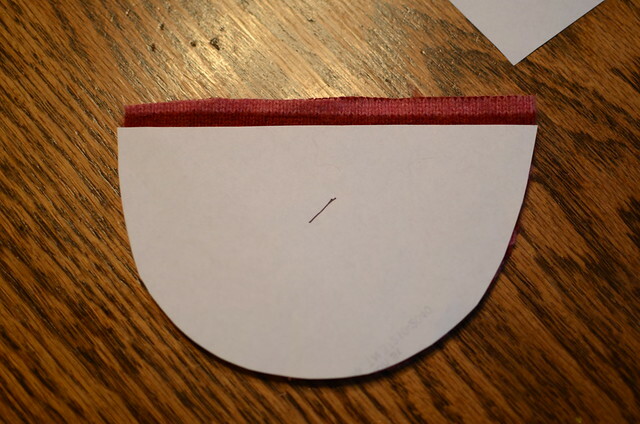 If you use my pattern cut along the dashed lines as well as the lines that you used to attach the pattern pieces together. Your pieces should look like the photo below. 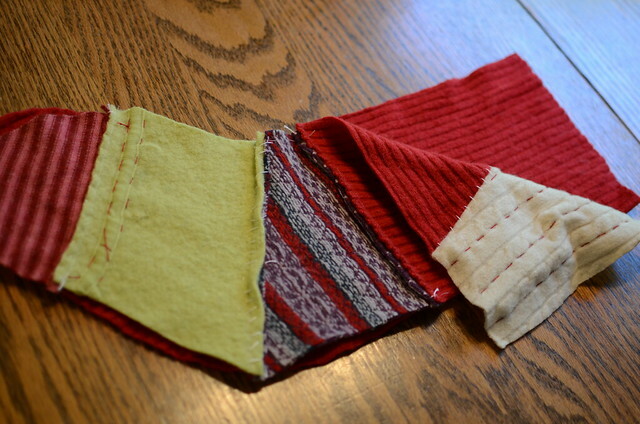 Cut out your pieces from your scraps. 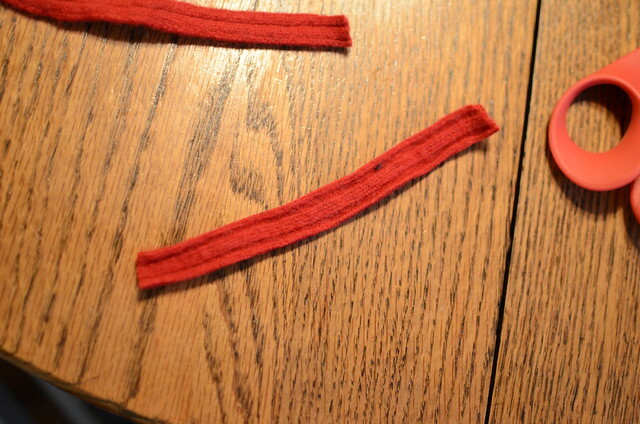 Make sure to include a 1/4 inch seam allowance along the top edge of the bottom piece. 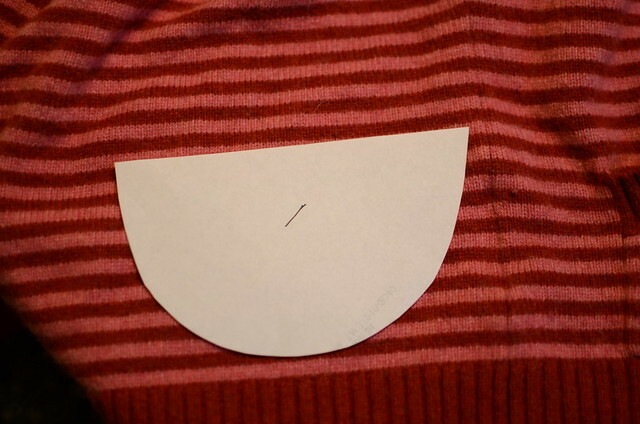 You will need to allow an extra seam allowance on the top and bottom of the rest of the pieces. 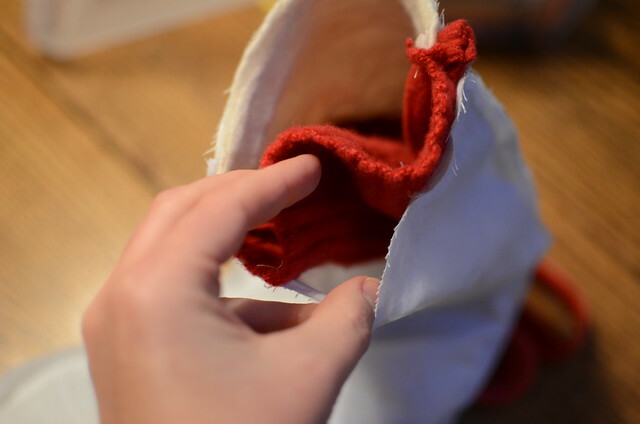 Hand sew the heel piece in place. 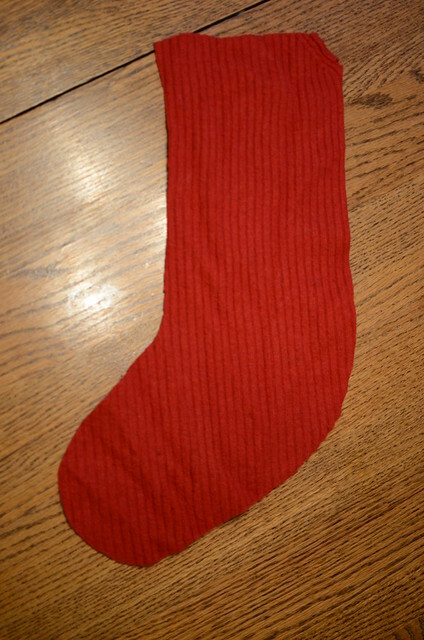 Embroider the stocking along the seams. 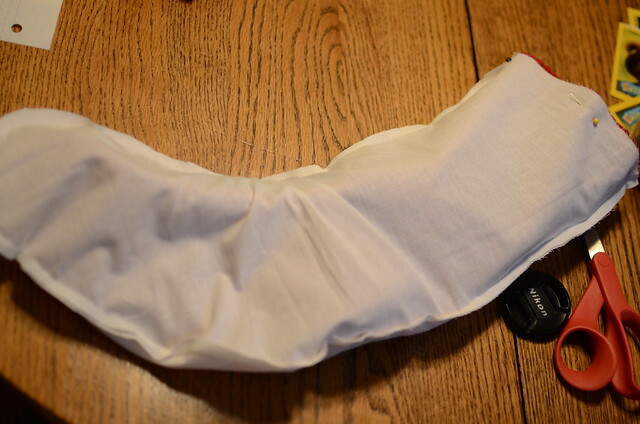 Take your front and back stocking pieces and place them right sides facing. Trim if they are not the same size. 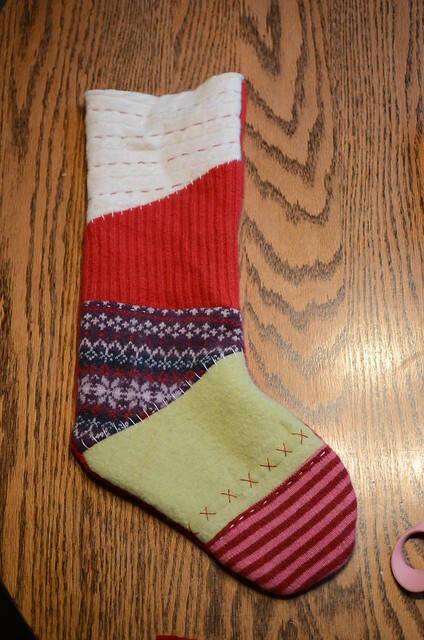 Pin in place and then sew all the way around the stocking. Leave the top open. 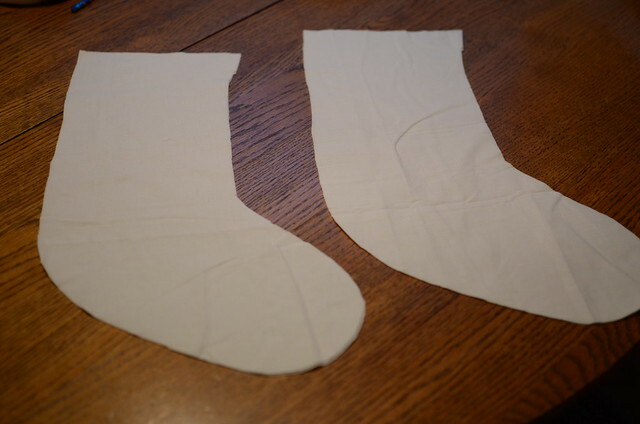 Also sew the two lining pieces together the same way. Turn right side out. 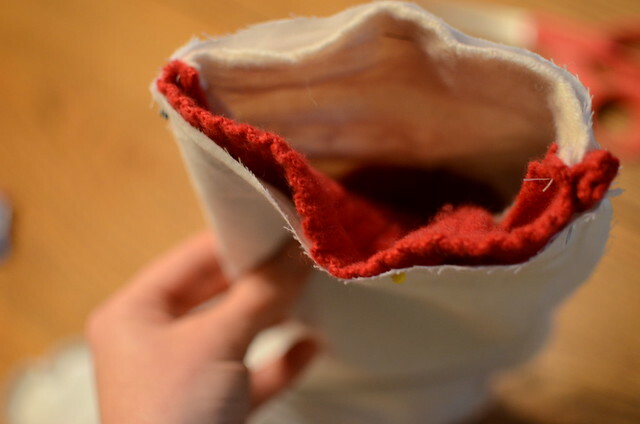 Leave the lining pieces inside out. 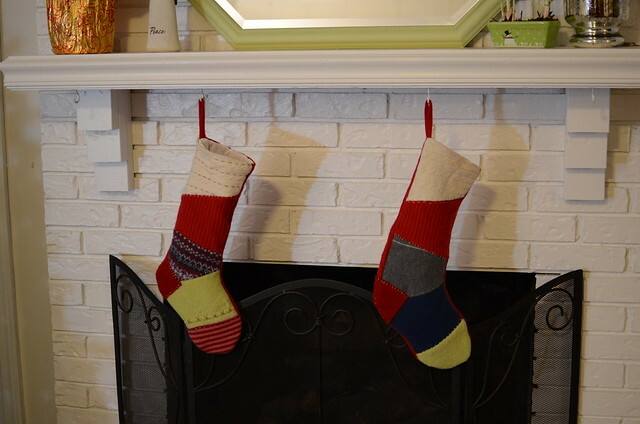 Use a small scrap to make a loop so that you can hang your stocking. 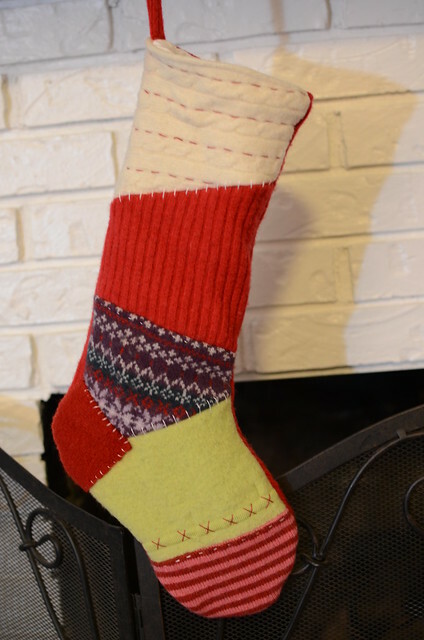 Pin it to the top outer edge of the stocking. The loop will be facing down. Sorry I didn't get a photo. 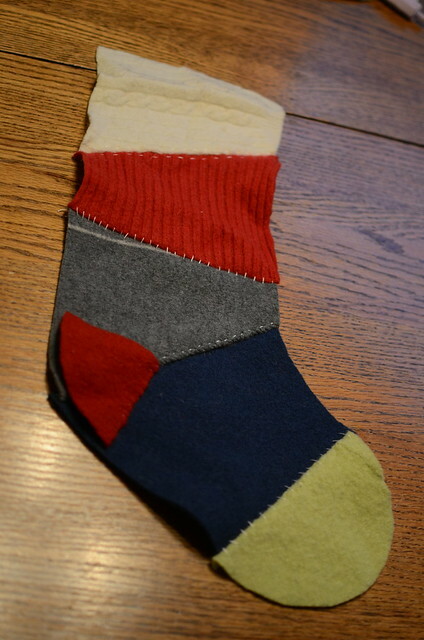 Place the main stocking pieces inside the lining pieces. Right sides will be facing. 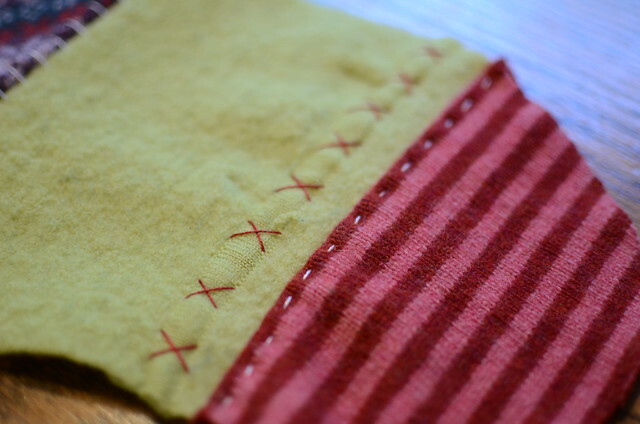 Sew around the top of the lining leaving a gap for turning. 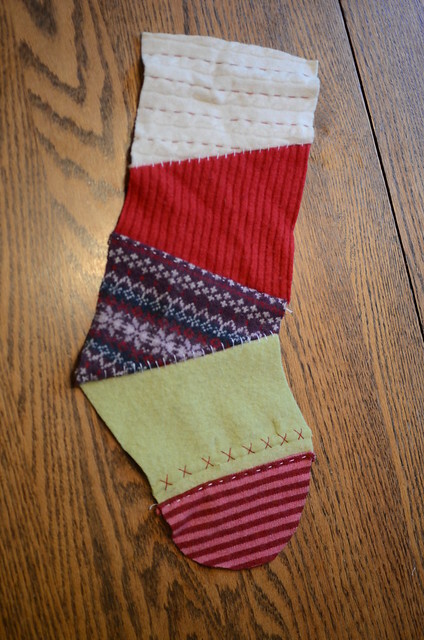 Turn right side out and topstitch around the top of the stocking to close the gap. 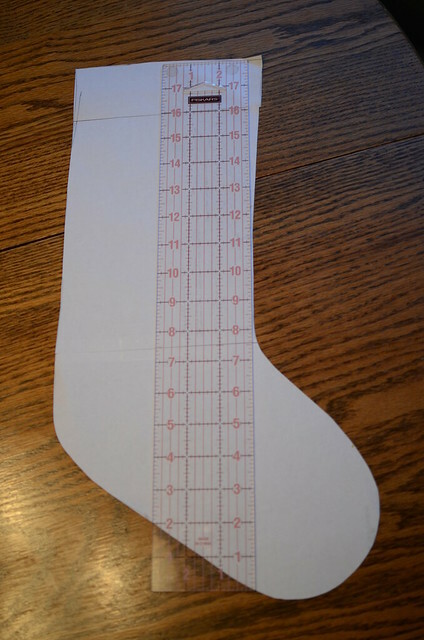 Pinned and I might actually make 4 new stocking for next year. I should really start today...they might actually get made!